Linda Jean's book on PEI probates and wills has finally been released. This long-awaited book is everything expected, and more. Chapter one covers the Terms and Definitions used in records, the early Probate Court, Early Island Wills, Administrations, Locating Probate Records, Settling an Estate, Other Important Documents, Guardianships, Women's Role in Probate, Identifying Probate Problems, Additional Sources, and Important Dates in Probate. Chapter two consists of almost 300 pages full of Prince Edward Island Will, Administration and Petition document summaries. Don't miss out on this wonderful publication! It may be ordered directly from Linda Jean Nicholson, PO Box 1541, Charlottetown, PEI C1A 7N3 or nicmack@pei.sympatico.ca or (902) 569-4837 or purchased from the Reading Well bookstore in Charlottetown. Author: J. Clinton Morrison, Jr.
EMIGRANT FROM THE HIGHLANDS, written by J. Clinton Morrison, Jr., in 1978 is a genealogical work which documented Morrison's ancestral roots in Sutherlandshire, Scotland and the subsequent emigration of the Morrison family to the New London area of Lot 21, P.E.I. in 1841 because of the infamous "clearances" from this region of Scotland. This book, no longer in print, can be found in libraries and sometimes in antique bookstores. The author has taught in P.E.I. schools since 1968. As of 1998 he resides in Summerside, P.E.I. Everyday & Ordinary - Almanac of the History of Prince Edward Island - a delightful collection of Historical facts and notes from the files of the P.E.I.M.H.F. Names, data, news, and events, all sorted and presented by year and category. A wonderful quick reference, and fascinating reading! Available At: Most Online Bookstores - Chapters/Indigo, Amazon, etc. Exiles and Islanders describes Irish settlement in Prince Edward Island from 1763 to 1880. By tracing the history of these early settlers, Brendan O'Grady demolishes the myth that the Island's Irish settlers were largely refugees from the Great Potato Famine. Using a wide variety of sources, including folklore, newspaper reports, personal interviews, letters, shipping records, and historical data, O'Grady goes beyond mere statistics. We learn about settlers' hometowns in Ireland, why they left, when and how they came to Prince Edward Island, where they settled, and how they adapted to living in PEI. This book is highly recommended for those Islanders with Irish heritage! Available At: Sold out, but might be found at some Island Bookstores or used book sellers. "From a Distance" is a book about Boughton Island, that little Island off Launching, and some 6 miles off Georgetown, P.E.I. Boughton Island was once a thriving community, now it stands uninhabited. The author's father was one of three who were forced by weather in November 1953 to spend the night on the Island. The book includes portions on the former families of the Island, clippings from newspapers relating to Boughton Island residents, its weather, and businesses. There are sections on life on the Island, farming, fishing, schools, religion and transportation to and from the Island, and a section on leaving the Island. What will happen to the Island in the future - this isn't missed in the book. This is a fascinating little book, and a great read for all, especially those with an interest in this, or any other community of the past which has disappeared with the ravages of time and questionable progress! The book was given as a gift to my wife's father. It was found at a bookstore in Montague, but I have been told that they are sold out. Copies might be found at other Island Bookstores or possibly on Internet book search engines. It would be well worth looking for. I have done this review so those researching the area will know of the book's existence and can be on the lookout for a copy. "The gap between romance and reality was never greater than that experienced by the young men who fought in the Great War, 1914 - 1918. Frank Walker of Charlottetown, Prince Edward Island, was a twenty-year-old machinist with a literary bent when he enlisted as a stretcher bearer with the Canadian Expeditionary Force in 1914. Like other young men, he expected an adventure. Over the next three years he charted his journey from innocence to grim reality in both prose and poetry. In the process he compiled a vivid and revealing picture of a war that continues to haunt modern memory. From a Stretcher Handle is a wonderfully full, graphic account of the First World War. It rises above a diary. Walker offers the kind of editorial commentary that one might expect from a seasoned journalist. That, together with his knowledge of literature and history, makes this a truly remarkable autobiography of War." Pte. Frank Walker was Mary F. Gaudet's father. In her Introduction she tells her reasons for writing her father's story of the Great War. This book is a special tribute to him, written with love and dedication. It is well illustrated, easy to read, and contains an epilogue and bibliography and index. From a Stretcher Handle: The World War I Journal and Poems of Pte. Frank Walker, a book of approximately 140 pages, dedicated to all veterans and victims of war, was published in 2000 by the Institute of Island Studies, University of Prince Edward Island, Charlottetown, P.E.I., C1A 4P3, edited by Edward MacDonald and Laurie Brinklow, designed by UPEI Graphics, and printed by Williams and Crue Ltd., Summerside, P.E.I. ISBN Number is 0- 919013-40-6. Cost of the book is $15.95 Canadian. The book is available through the Institute of Island Studies. Check their website at http://www.islandstudies.com, or write to the Institute of Island Studies, UPEI, Charlottetown, P.E.I., C1A 4P3. Price: $20.00 - see below! Dr. Leszek Zielinski, medical doctor first at Kinkora, then Kensington and finally at Prince County Hospital in Summerside, was born in Warsaw on November 4, 1913 and died as the result of a car accident in 1985. His widow, Janina Zielinski, in 2009 published an illustrated book of approximately 60 pages entitled From Poland to P.E.I. - Through the War and Across Four Continents. Through this book the author gives a personal account of what it was like to live in Poland during the Second World War, what the people of Poland went through as the Russians took over their country, how many people had to flee to other countries in order to stay alive. She describes having to move to Beirut, Lebanon where she met Leszek and where they were married in 1946, their journey to Egypt, then to England, and finally to Prince Edward Island, Canada. Although the book is only 60 pages in total, a tremendous amount of information is found within its covers. It is a personal account of the horrors of war and the courage of those who survived. "In the course of my life I have witnessed unspeakable cruelty and been astonished at how horribly some people treat others. At the same time I have been the beneficiary of incredible kindness, in particular in Canada and my beautiful Prince Edward Island, and this encourages my faith in humanity. The stories I share here reflect these sentiments." Copies of From Poland to P.E.I. - Through the War and Across Four Continents, published by the author, is available through the Prince County Hospital Foundation, Summerside, P.E.I., or at the Gift Shop - Wishing Well at the Prince County Hospital. See the web page www.pchcare.com for further details. Cost is $20.00, which includes taxes. Also contact the author's daughter, Anna, at anna.ogilvie@rogers.com if more information is needed. From The Isles To The Antipodes, written and published in 2010 by Harold M. McIsaac of Auckland, New Zealand, whose grandfather, Bruno George McIsaac of Glenwood, Lot 8, Prince Edward Island, became a ship's captain in the latter part of the 1800's and sailed from P.E.I., along with his sister Theresa, to New Zealand, is a beautifully illustrated, well documented 200- page book about his McIsaac connections both in New Zealand and on Prince Edward Island, also in other parts of the world, as well as going back even further to when the first pioneer McIsaac of Glenwood - John McIsaac - came to Prince Edward Island from Scotland around 1800. The first McIsaac Reunion of the descendants of John McIsaac and his wife Anne Johnson McIsaac was held in the summer of 1996 in O'Leary, Prince Edward Island. Although a number of years previously there had been some correspondence and visitations between the McIsaacs from P.E.I. and those relatives in New Zealand, the 1996 gathering was a special occasion where the descendants of John and Anne from various parts of Canada, the United States and New Zealand could meet each other and share information. The 1996 McIsaac Reunion proved to be quite a success, and it was at this event that the idea of a book was born. From The Isles To The Antipodes contains an introduction and eight chapters, followed by a bibliography. One chapter is devoted to Scotland, particularly as to why many people from Scotland moved to Canada. Two chapters are devoted to the family in New Zealand. Three chapters are devoted to Prince Edward Island. One chapter is on the Pennsylvania McIsaac connections, and there is a chapter containing genealogical tables of family members and list of descendants of John McIsaac and family documents. The chapters on New Zealand were done by Harold McIsaac. The chapters concerning Prince Edward Island were done with the help of a number of people - just a few being George F. Sanborn Jr., Leona Dalton, the late Leo McIsaac, and Dorothy Griffin-Farish. On Page 3 of the book Harold has stipulated that "this compilation is for family reference purposes only and is not for sale." Three copies of From The Isles To The Antipodes has been provided to Island archives for those interested in reading this interesting book: one to the Provincial Archives in Charlottetown, one to the MacNaught History Centre and Archives in Summerside, and one to the Alberton Museum and Archives. For further information on From The Isles To The Antipodes, please contact Harold McIsaac by e-mail at harold@mcisaac.co.nz or write to him at P.O. Box 65-021, Mairangi Bay, North Shore City 0754, Auckland, New Zealand. The family of Neil Munn and Elizabeth "Betsy" MacLeod of Mermaid, with Appendix's on the Wood Islands Munn's; Murray River Munn's and others with the Munn name. The book contains 474 pages or there about, with several pages of photo's on the early generations of Neil Munn and Elizabeth MacLeod's family, some death and obituary write ups, as well as family information that Ann and Linda have compiled over the years from family, church records, census and land records. It is indexed, sourced and has appendix's on the Wood Islands Munn's, Murray River Munn's and Munn Road Munn's. They have covered these families but not as in depth as Neil Munn and Elizabeth "Betsy" MacLeod's family of Lot 48, Mermaid. The cost is $48.00 Canadian and American, this includes postage and handing. All orders must be prepaid. Please make your check payable to "The Munn Book" and send it in care of Linda C. Harding, 264 Mount Edward Road, Charlottetown, PE C1A 5T7, Phone (902) 892-9657. Book: "From the Ponds to Sea View"
Report: This book is an an early history of Sea View, chapters on fishing, acriculture, school, sports and about 70 pages of family histories. Book: "From the Top of the Hill - The History of an Island Community Irishtown-Burlington"
This book was written in the mid 70s. It is a history of the early settlement, local economy and community social life of Irishtown and Burlington which are two "sister" communities on either side of the county line road (Irishtown in Queen's county and Burlington in Prince). There is a family history section but it is limited for the most part to the people that actually lived in Irishtown and is a house to house history rather than an alphabetical one. This book may occasionally be found on the used book search engines. Book: "Genealogist's Handbook for Atlantic Canada Research"
The completely revised second edition of Genealogist's Handbook for Atlantic Canada Research has just arrived from the printer and is now ready for purchase. Much larger and completely revised, this second edition of the very popular reference work has been re-arranged, and is totally updated. The book is soft-bound, to keep it affordable, and has a very attractive cover with a great map of the region. The book was edited by Terrence M. Punch, CG (C), with George F. Sanborn Jr., F.A.S.G. The cost is $19.00 (U.S. funds) and can be ordered from the publisher at NEHGS Sales Department, New England Historic Genealogical Society, 160 N. Washington Street, Boston, Mass. 02114, U.S.A. [the cost is $13.50 for members of the Society]. Please add $3.50 (U.S. funds) for the first book, and 75 cents for each additional copy. You may call toll free at 1-888-296-3447 and use a credit card. Massachusetts residents need to add 5% sales tax. Although all chapters have been revised and updated, the most noticeable change is in the P.E.I. section, which has been completely revamped. Are you a genealogy buff who has Acadian connections - especially in Prince County, Prince Edward Island? If you are, then you are in for a real treat if you obtain a copy of "Genealogie des huits familles fondatrices acadiennes de Tignish", or in its English title of "Genealogy of the Eight Acadian Founding Families of Tignish". Written in both French and English, with explanation in English of any French terms found within, this book of approximately 200 pages, published in 1999 for the Tignish Bi-Centennial Celebrations, is a very valuable resource. From April 1997 the Reverend S.E. Perrey Committee and SSTA compiled research in order to publish a document containing the family trees of the eight Acadian founding families of Tignish. These eight families left Malpeque in October of 1799 in order to find themselves a new place to live. They came to Tignish, thanks to the Mi'kmaq people who told them that the land was fertile in the area and that the fishing and hunting were good. These families then re-established themselves at the place we now call "the Green". According to the Committee's research the descendants of these founding families are believed to number nearly two hundred thousand people. This comprehensive genealogy book is the Committee's contribution to the 1999 Tignish Bi-Centennial Celebrations. The majority of the information for the book was found in the following documents and locations: L'Impartial Illustre (1899), the Acadian Museum, the Public Archives in Charlottetown, and the 1891 census records. Information retrieved dating after 1900 was not accessible at these locations, so a great deal of information dating after 1900 was provided from the descendants themselves. Printed by Williams & Crue (1982) Ltd., Summerside in 1999, this book is available at various locations - some of these being the West Prince Acadian Historic Committee (Comite historique acadien Prince-Ouest Itee), C.P. 249, Tignish, P.E.I., C0B 2B0, Telephone (902) 882-2806; The French Cultural Centre, Deblois, Tignish, R.R., P.E.I., C0B 1B0, Telephone (902) 882-0475. It can also be obtained from Almeda M. Thibodeau, R.R.#3, Mill Road, O'Leary, P.E.I., C0B 1V0. Telephone number is (902) 853-3999. The cost of the genealogy is $20.00 plus $3.00 for postage and handling charges. It is a small price to pay for so much information on the Acadian founding families of Tignish, P.E.I. Hot off the press in August 2009 is Volume I - Arsenault, the first of a comprehensive five-volume genealogy of the Acadian families of Prince Edward Island entitled Généalogie des familles acadiennes de l'Île-du-Prince-Édouard written and edited by Jean Bernard, an accomplished genealogist who presently resides at Malpeque Bay and who for several years worked at the Acadian Museum in Miscouche, Prince Edward Island. Written in memory of his brothers Guy and Claude Bernard and dedicated to the younger generation so that they can locate their Acadian ancestors, this book of 752 pages contains information on all the Acadians with the surname "Arsenault" or variations thereof. Although the book is mainly in French there is an article printed in both French and English and written by Georges Arsenault, a native of the Evangeline area of Prince Edward Island, entitled The Arsenaults, A Family With Deep Island Roots. A section entitled "The Key to Interpreting This Book" is written in both French and English, the abbreviations found in the French records are written with their meaning in both French and English, and common words or groups of words that are found often in French church records are listed both in French and in English. For this reason Généalogie des familles acadiennes de l'Île-du-Prince-Édouard is a very worthwhile genealogical source of information for people of both Acadian and English backgrounds who are interested in ancestors with the surname "Arsenault". The final pages of the book include a bibliography of sources used, both primary and secondary, as well as an index of all the married couples where the man had the surname "Arsenault". The book cover was designed by Alexandre Roy and is the color of Prince Edward Island's soil. Publisher is Imprimerie Dupuis Printing Inc., Shédiac, New Brunswick. ISBN 978-2-9811327-0-3. The cost of the book is $55.00 plus postage and handling. For further information, please e-mail Jean Bernard at jeanbernard61@hotmail.com or write to him. His mailing address is Jean Bernard, Généalogie Malpèque, P.O. Box 1602, Station Main, Summerside, P.E.I., C1N 2V5. Volume II of Généalogie des familles acadiennes de l'Île-du-Prince-Édouard, written and edited by Jean Bernard and published in 2010, covers the rest of the Acadian family surnames other than Arsenault that begins with the letter "A", along with those surnames beginning with the letter "B". Volume II is written in the same style as Volume I, with an introduction by Jean Bernard, a list of acknowledgments, a chronology from the years 1534 to 1919 of information on Acadians, a section entitled "The Key to Interpreting This Book" written in both French and English, abbreviations found in French records written with their meaning in both French and English, and common words or groups of words that are found often in French church records are listed both in French and in English. The final pages of the book include a bibliography of sources used, both primary and secondary. The book cover was designed by Alexandre Roy and is the color of Prince Edward Island's soil. Publisher is Imprimerie Dupuis Printing Inc., Shédiac, New Brunswick. ISBN 978-2-9811327- 0-3. The cost of this volume is $40.00 plus postage and handling. For further information, please e-mail Jean Bernard at jeanbernard61@hotmail.com or write to him. His mailing address is Jean Bernard, Généalogie Malpèque, P.O. Box 1602, Station Main, Summerside, P.E.I., C1N 2V5. Volume III of G�n�alogie Des Familles Acadiennes De L'�le-Du-Prince-�douard c. 1764 - c. 1900 was launched at the Acadian Museum in Miscouche, Prince Edward Island on July 5, 2012. Written by author and genealogist Jean Bernard and dedicated by him to his dear mother Anna, daughter "de Clovis Roy dit King, qui fait honneur aux femmes de l'Acadie", this volume of 688 pages covers surnames C - F inclusive. Just a few of the Acadian surnames found in Volume III include Caissie, Charpentier, Cheverie, Cl�ment, Cormier, Daigle, Doiron, Doucet, Duguay, Fortescue, Foug�re. Many of the surnames have had different spellings over the years, and these are also listed. Surprisingly, some non- Acadian surnames such as Campbell, Curley, Duffy, Doyle, Elward/Aylward, and Ferguson are also included because people bearing these surnames were married to Acadians. Volume III has a similar arrangement of structure as the previous two volumes. Although the book is written in French it can easily be followed by someone whose only language is English. Abbreviations, symbols, months of the year, place names and common words used within the book are given in both French and English. A section entitled in English "The Key to Interpreting This Book" is also given in French. As a result, this volume can prove most valuable and useful to both French and English-speaking researchers and genealogists. The two previous volumes of Jean Bernard's genealogical work have been very successful. Volume I, totally devoted to the Acadian surname "Arsenault", received the Prix Gilbert-Buote in 2010, and Volume II, devoted to the surnames beginning with the letters A and B, excluding Arsenault, was the recipient of the Mary Cornfoot Brehaut Award in 2011 for excellence in genealogy. G�n�alogie Des Familles Acadiennes De L'�le-Du-Prince-�douard c. 1764 - c. 1900, Volume III C - F, softcover, printed by T.C. Transcontinental, Sherbrooke, Quebec. ISBN 978- 2-9811327-2-7, is available from Jean Bernard, 27 Leigh Drive, R.R.#2, Summerside, P.E.I., C1N 4J8. His e-mail address is jeanbernard61@hotmail.com. The cost per copy of Volume III is $39.95 plus shipping. The book is also available at the Acadian Museum in Miscouche, P.E.I. Check the website at http://www.museeacadien.org. Volume IV is written in a similar style to the previous three volumes. The first book has a 41-page introduction plus notes, followed by 491 pages of genealogical information from Abraham to Jonas. The second book, starting at page 2299, continues the genealogy from Joseph to Xavier to page 2785. This is followed by a nine-page bibliography. The book covers were designed by Alexandre Roy, as were the previous volumes in the genealogy series. The publisher for Volume IV was Marquis Printing, Montmagny, Quebec. ISBN for the first book is 978-2-9811327-3-4, and for the second book is 978-2-9811327-4-1. Cost of both books in Volume IV is $60.00 plus postage and handling. The books are available from Jean Bernard, 558 Notre Dame St., Summerside, P.E.I., C1N 1T5. Jean may also be contacted by e-mail at jeanbernard61@hotmail.com. 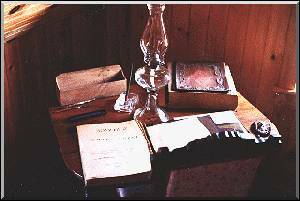 Copies of Volume IV may also be found at the Acadian Museum in Miscouche, P.E.I. and at the Acadian Museum in Moncton, New Brunswick. Généalogie Des Familles Acadiennes De L’Île-Du-Prince-Édouard c. 1764 - c. 1900, Volume V was launched on Thursday evening, July 17, 2014 at the Acadian Museum in Miscouche, P.E.I. This volume, similar in layout to previous volumes in the series, covers surnames from G - O, starting with Gaudet and its variations (Gaudette, Godais, Godet, Goody) on page 2795 and ending on page 3491 with the surname Overback (Von Overback), followed by a bibliography (bibliographie). Also, like previous volumes, the cover was designed by Alexandre Roy, and the printing was done by Marquis Printing, Montmagny, Quebec. When Jean Bernard started compiling his genealogy he planned on a series of five volumes. However, because of much added material, the series will extend to seven volumes. Volume IV of the series received the 2014 Summerside Heritage Award during Heritage Week. Volume V is different from previous volumes in that under the letter “M” there are a great many Scottish or Irish surnames, for example: McDonald, McCue, McGilvray, McIsaac, and others. These non-Acadian surnames are included because of intermarriages with Acadians. Généalogie Des Familles Acadiennes De L’Île-Du-Prince-Édouard c. 1764 - c. 1900, Volume V is available for $40.00 plus shipping and handling and may be purchased at the Acadian Museum in Miscouche, P.E.I. or at the University of Moncton bookstore “Libraire acadienne”, or directly from author Jean Bernard at jeanbernard61@hotmail.com. Généalogie Des Familles Acadiennes De L’Île-Du-Prince-Édouard c. 1764 - c. 1900, August 6, 2015 at the Acadian Museum in Miscouche saw the launching of the most recent volume of Jean Bernard�s Acadian genealogy series. This volume, entitled G�n�alogie Des Familles Acadiennes De L��le-Du-Prince-�douard c. 1764 - c. 1900, Volume VI is dedicated to Ronnie-Gilles LeBlanc, colleague and friend of the author, is a massive book of over 800 pages in total and contains information on the surnames starting with the letter �P�. The surnames, including variations, found within its pages include Paquet (Pacquet, Paquette), Parfait-Duplessis, Park, Parson, Paulin (Poulin), Petitpas, Pineau (Pinault, Pineault, Pineaux, Pino, Pinot), Pitre (Peter, Peters, Petre, P�tre, P�tre, Pitt), Plourde, Poirier (Per�, Perr�, Perrey, Perry, Poirrier, Porrier), Preston, Profit (Prophet), Provost (Preveau, Prevost, Probot). This latest volume, as its predecessors, was printed by Marquis Printing of Montmagny, Quebec. The cover being designed by Alexandre Roy. Like the other volumes in the series, this book begins with an Introduction. Genealogy of the surnames starts at page 3503. A Bibliographie starts at page 4287. Like the other volumes in the series, Volume VI is a treasure trove of information and includes numerous aids to help people whose language is English rather than French to more easily navigate its pages. Jean Bernard has received numerous awards for previous volumes in this series. Volume I received the Prix Gilbert-Buote in 2010. In 2011 Volumes I and II received the Summerside Heritage Award and the P.E.I. Museum & Heritage Award, and in 2014 Volume IV on the Gallant surname received the Summerside Heritage Award. This latest volume in Jean Bernard�s genealogical series can be obtained by e-mailing him at jeanbernard61@hotmail.com It can also be obtained at the Acadian Museum in Miscouche, P.E.I. and at the Library Acadienne at the Universit� de Moncton campus. The cost per volume is $40.00 plus shipping and handling. The Acadian Museum in Miscouche, P.E.I. was the setting for the launch on June 23, 2016 of the final volume of the over 4600-page genealogy of the Acadian families of Prince Edward Island from 1764 to approximately 1900. This volume of approximately 325 pages contains the surnames starting with the letter �R� and continuing to the letter �W�. Volume VII is written in the same style as the previous volumes in the series and printed by Marquis Printing, Montmagny, Quebec. Jean Bernard is to be greatly commended for his courage, determination and perseverance in bringing his G�n�alogie Des Familles Acadiennes De L��le-Du-Prince-�douard to completion. His work will be invaluable to present and future genealogists. Volume VII is available from Jean Bernard. His email address is jeanbernard61@hotmail.com and also from the Acadian Museum in Miscouche. The web page for the Acadian Museum is http://www.museeacadien.org The cost per copy of Volume VII is $30 plus postage. A toponymic study of P.E.I. commemorating the entry of P.E.I. into Confederation. It is a study of the place names of P.E.I., and their origins. I seldom recommend a book so highly, but I have found this one of the most valuable books I own! Several times a week, I use it to locate obscure locations and old place names for myself, and for people leaving queries here and on the P.E.I. list! Gentle as Doves - Biography of Rev. John M. Sheen is a book of approximately 200 pages with numerous pictures, written and published in 2008 by Reverend Sheen's daughter-in-law Winnie Sheen. The volume is dedicated by the author to her husband George, their son Chris and their daughter Heather for encouraging her to write the book as a tribute to a man who holds special memories in the hearts of many people. She also thanks all who shared memories of Rev. John Sheen by conversations or letters, as well as local author Clinton Morrison for his assistance in the format of the book. "My initial desire to write this book came from an inner sense to pay tribute to someone who touched countless lives and in many cases inspired them to become ministers of the Gospel or to serve in some capacity of the church. When meeting someone for the first time I am often asked if I am related to the late Rev. John Sheen. When I reply in the affirmative there is usually a story told about when he was the minister of their church or just knowing him as a special friend. As confirmation that I was meant to undertake this humbling and somewhat daunting project, I amazingly thought instantly of the title Gentle as Doves, which I feel very suitably encompasses John's life of ministry." The book contains a variety of interesting information, both about John's life before becoming a minister, his life as a minister, samples of his sermons, special experiences, poetry, pastoral charges, and memories - to name just a few. Gentle as Doves, as well as being biographical, is also a book of spiritual wisdom and insight. Through extensive research of written documents and oral history, the committee was able to reveal one hundred and eighty-three names of those aboard the Brigatine Alexander and give a brief overview of each individual�s life from who they married, to number of children they had, to where they settled, to when they passed, etc. Glenalladale Settlers 1772 features sixty-five photographs, copies of twelve historic maps pertinent to the emigration, and a full bibliography. Dr. Ed MacDonald of UPEI provided the foreword and Ranald Alexander Macdonald, 24th Captain and Chief of Clanranald, contributed a review of the book. This book will be of interest to those looking to explore their Scottish roots, as well as anyone interested in life in Gaelic Scotland in the 1770s, trans-Atlantic passage in a sailing ship of that era, and the rigors of arriving and settling on Prince Edward Island. Glenalladale Settlers 1772 is now available for $20 online at glenaladalepei.com, in person at McAskill�s Woodworking, or through email at peisshs@gmail.com. For more information, please contact Myrna Babineau at 902-629-1666. Gone to the Bay - A History of the St. Peters Fire District Area, by Juanita Rossiter, records the history of the St. Peter's area, and that of its residents. This book covers the gamut from St. Peter's early years from the aboriginal and French settlements, shipbuilding, St. Peters and the sea, Business and Commerce, transportation, the district's churches, Schools and much more. For anyone with an interest in this historical area of P.E.I., one of its earliest settlements, this book is a must have. Gone to the Bay is available at the Morell Credit Union; Bayside Inn, St. Peter's; from John Sutherland, (902) 961-2284; and from Nona MacLaren (902) 961-3006. See: "At the Head of the Bay" - recollections of Edith M. McCallum of earlier days in St. Peters Bay, memories renewed while reading Juanita's book! The first volume in a two-volume history of Elmsdale, Elmsdale West and Brockton, Prince Edward Island, entitled Goin' to the Corner was launched July 22, 2006 at Elmsdale Community Centre. This comprehensive and well-illustrated soft-covered book of 624 pages was published by the Elmsdale and Area Historical Society, Elmsdale, P.E.I., C0B 1K0 in association with Crescent Isle Publishers, 157 Victoria Road, Summerside, P.E.I., C1N 2G6. Copyright@The Elmsdale and Area Historical Society, 2006. The research committee for this book were as follows: Margaret Adams, Chairperson; Lillian Adams, Allan Graham, Norma McLellan, Arlene Morrison, Jean O'Brien and Kay Williams. The administrative assistant was Susan Murphy. It took three years of long days for the committee to read from microfilm the Summerside Journal, the Pioneer, the Journal-Pioneer, the Island Farmer, the Agriculturist, the Island Guardian, and the Charlottetown Herald to find the facts included in Goin' to the Corner. Goin' to the Corner is anything but a boring book. Contained within its pages are copies of actual newspaper articles, diaries, excerpts from journals, list of first landowners, numerous pictures - and much more. The front cover shows Elmsdale Corner in earlier times, while the back cover illustrates students at O'Brien Road School during the mid-1930's. It is a very readable and interesting book and an excellent resource for historians and genealogists, and an excellent value for $20.00 plus postage and handling. or Margaret Adams, Elmsdale, P.E.I., C0B 1K0; telephone 902-853-2632. NOTE: This volume covers the communities. See below: The second volume has been released 2010 on the families who lived in Elmsdale, Elmsdale West, and Brockton between 1837 and 2006. Volume 2 of Goin' To The Corner, researched by the Elmsdale and Area Historical Society, a genealogical account of all the families who lived in the three western Prince Edward Island communities of Elmsdale, Elmsdale West, and Brockton - all 883 families - was launched at the Elmsdale Community Centre on December 4, 2010. This genealogy covers 1,702 pages and fills two books. These two books, along with Goin' to the Corner, Volume 1, published in 2006, give a very extensive look at three communities of West Prince area and the people who have lived there over the past nearly two centuries - between 1837 and 2003. Allan Graham, one of the members of the Elmsdale and Area Historical Society, estimated that the three communities are probably the most documented on Prince Edward Island. These latest volumes, like the previously published volume, are illustrated with numerous black and white pictures and written on easy-to-read paper and clear format. The accounts are very interesting and informative. The research committee for this monumental undertaking included Norma McLellan, Lillian Adams, Allan Graham, Margaret Adams, Judy Cotton, Arlene Morrison, Jean O'Brien, George F. Sanborn Jr., Kay Williams and John A.C. Wilson. The typing was done by Robin Dunn. Formatting for the books was done by Susan Murphy. Printing and binding was done in Canada by Kwik Kopy Design and Print Centre, 91 Euston Street, Charlottetown, P.E.I., C1A 1W3. The 2010 volumes were published, as was Volume One, by the Elmsdale and Area Historical Society. The Society holds the copyright to these volumes. Volume 2: Part 1 has a front cover photograph of John "Johnny" Adams, taken from the George F. Sanborn Jr. Collection. Back cover photographs include the Austin and Gertrude O'Brien home on the Wells Road, Elmsdale, as well as the Colin and Bessie (Yeo) Rix home. Volume 2: Part 2 has a front cover photograph of Aulay "Big Aulay" Matthews. The back cover photographs include the farm of Maurice and Ann Griffin, taken around 1960, also the Archibald and Sarah (Smith) O'Halloran home. committee members. This special deal is effective until Dec. 31, 2014.
email and not in printed form. Price: Bookstore retail $22.95, plus Taxes, from Author, $20.00 plus $4.95 S&H. This book describes the role of Prince Edward Island soldiers in World War One on the Western Front. Through letters, personal interviews, and diaries, life in the trenches is described in gruesome detail. A helpful and interesting book not only for military historians but also genealogists and others interested in Island heritage. Available from most major Island bookstores, plus direct from Crescent Isle Publishers, 157 Victoria Road, Summerside, PE C1N 2G6 ($20.00 plus $4.95 S&H, taxes included) or telephone/Fax: 1-902-436-8518. "Historic Summerside", is to be launched June 9th, 2002, at 2-4 p.m. at St. Mary's Hall, 74 Summer Street, Summerside. Author, Fred Horne, who grew up in Brackley and graduated from the U.P.E.I. with a degree in History, is currently the archivist at the MacNaught History Center and Archives in Summerside. "Historic Summerside, 1900-1970, Images of Our Past" is a wonderful mix of visual and textual history of the Prince County Capital. The book includes 218 black and white photos gathered from the Read, and later, Sears Studio, as well as individual and family collections. For over 90 years, the Read/Sears Studio was in operation, and has provided a photographic history of the town it can truly treasure. The back cover review states "'Historic Summerside' looks at the many roles the Prince County Capitol has taken on since its incarnation as a mercantile and service center in the early 1900's." Yet, it does much more than that. Fred Horne has placed a history behind the photos in the book in a manner which makes history fun. It is interesting reading, and through its photos, a feast for the eyes. If you have relatives in the Summerside area, there is a good chance you will find them in one of the images presented in the book. I have seen many community histories over the years, yet I must say that this has to be classed as one of the most interesting yet. It is a book which I am glad to place in my collection, and I am sure that anyone with interests in Prince County will feel the same. Book: Historical Guidebook of the Evangeline Region. Book: "History of Baltic, Lot 18"
Available At: Ramsay's Pharmacy in Kensington. There are only 3 copies left. Price: $7.00 (plus applicable postage). Report: This book has info on the first settlers, chapters on ship building, farming, fishing, etc. as well as family histories. Available At: Sold Out. Price: n/a. Report: This book has the usual early history of the area as well as about 100 pages of family histories. Book: "History of Spring Valley"
Soft Cover, About 100 Pages. Available At: Ramsay's Pharmacy in Kensington (Several copies). Price: $7.00 (plus applicable postage). Report: The chapters in this book are labelled: The Early Community, The Growing Community, The Changing Community, The Current Community, Family Histories and Homesteads. Printing and Layout: Alpha-Graphics (1972) Ltd., Summerside, P.E.I. Photography: Brian L. Simpson Photography, Cornwall, P.E.I. This handsomely illustrated volume is a comprehensive history of Stanley Bridge, a small, picturesque village cradled at the junction of Stanley River and New London Bay. Called Fyfe's Ferry until 1865, Stanley Bridge enjoyed the closely knit community life, the self-sufficiency and moderate prosperity that characterized so many Island communities from the mid-nineteenth to the mid-twentieth centuries. Located in a prosperous agricultural area which it served, and which in turn served it, and enjoying all the advantages associated with excellent water communications, Stanley Bridge, became a thriving commercial centre. The wharves built where the bridge crosses Stanley River, served the farmers and merchants who moved most of their produce and merchandise by schooners until they were replaced by vehicular modes of transport on a modern network of roads. The History of Stanley Bridge emphasizes in appropriate detail the social and economic fabric of the community. Based on comprehensive research and authentic documentation, the history of Stanley Bridge is carefully unfolded, from its beginnings to the present. The names of the residents of the community, their professions and extensive genealogical detail on all families is presented. Agriculture, the fisheries, the technological improvements, recreation, entertainment, the progress of culture, of religion,, of architecture, the mores and traditions, and their aptriotism, are all delineated. The business, the trades, the professions, the schools, the churches, and organizations such as the Women's Institute all enjoy pride of place. The reader is thus treated to an enlightening and fascinating story of this idyllic community. The History of Stanley Bridge is a good read indeed. Payment may be made in the form of cheque or money order made out to the Stanley Bridge Community Historical Society. Please contact them at the address below for shipping cost. Book: Honoring our Ancestors - Then and Now! This book documents some of the history of St.Margarets Parish and her people. The book identifies those who are known to be buried in the cemetery and retells some of their local history. In this brief look at the past, we have captured stories in danger of being forgotten. This book could be of interest to anyone who can trace their ancestry to the area, as well as those who are interested in the history of the area. Hope Restored: The American Revolution and the Founding of New Brunswick. Written by retired Lieutenant-Colonel Robert L. Dallison, this book examines the legacy of the Loyalist regiments. It describes the history, personalities, and ultimate settlement in New Brunswick of the British Provincial Corps. Hope Restored will consist of 5 chapters. The first is called "The Turmoil Spreads North: The American Revolutionary War Along the Bay of Fundy." The second is "In the Service of King George III: The British Provincial Corps and their Arrival in New Brunswick." The third is "The Loyalists Regiments: The Provincial Corps Disbanded in New Brunswick." This chapter describes the following regiments: the American Legion, DeLancey's Brigade, Guides and Pioneers, King's American Dragoons, King's American Regiment, King's Orange Rangers, Loyal American Regiment, Maryland Loyalists, New Jersey Volunteers, New York Volunteers, Pennsylvania Loyalists, Prince of Wales American Regiment, Queen's Rangers, Royal Fencible Americans, Royal Highland Emigrants, and Westchester Refugees. The fourth chapter is "The Legacy of the Military Loyalists: The Provincials Take Root in New Brunswick." The final chapter is "People and Places: Selected New Brunswick Military Loyalist and Revolutionary War Sites." It describes the following sites and personalities: Fort Cumberland, Saint John, Fort Howe, Brigadier General Benedict Arnold of the American Legion, Major John Coffin of the King's American Regiment, Ensign Henry Nase of the King's American Regiment, Lieutenant-Colonel Richard Hewlett of the DeLancey's Brigade, Colonel David Fanning of the North Carolina Militia, Fort Hughes, Loyalist Encampment and Cemetery, Ensign Thomas Gill of the Maryland Loyalists, Lieutenant Anthony Allaire of the Loyal American Regiment, Captain John Saunders of the Queen's Rangers, Lieutenant Samuel Denny Street of the Royal Fencible Americans, Captain Caleb Jones of the Maryland Loyalists, Quartermaster Daniel Morehouse of the Queen's Rangers, Captain Nehemiah Marks of the Armed Boatmen, Lieutenant Hugh McKay of the Queen's Rangers, 42nd Highland Regiment Memorial Cemetery, MacDonald Farm Provincial Historic Park, and Commodore George Walker and his Trading and Fishing Establishment. The book ends with a Chronology of Events and a Selected Bibliography. Humorous Stories, Songs, Bizarre and Eerie Tales from North Eastern Prince Edward Island: The stories are arranged according to topics which include courting, marriage, church, conflicts with the law, death, the supernatural, and many more. The latter part of the book focuses on a selection of "characters" who added special flavour to the Northside environment. "To tell the difference between the Prince Edward Island of 1900 and the Prince Edward Island of 2000. That's what this book sets out to discover. In the process, it has a story to tell" is Edward MacDonald's ambition in writing IF YOU'RE STONGHEARTED - Prince Edward Island in the Twentieth Century. The title "If You're Stronghearted" is from a poem from the late Island poet Milton Acorn. This history is dedicated especially to his parents Michael Joseph MacDonald and Marguerite Sharkey MacDonald and "to all men and women, and, in particular, to our parents, who contributed to life in Prince Edward Island during the twentieth century and who were, and are, indeed stronghearted." IF YOU'RE STRONGHEARTED is a beautifully illustrated, hardbound book of 418 pages, divided into four major periods. Part One, from 1900 to 1919, is entitled "The Little Sister of Confederation". Part Two, from 1919 to 1945, is entitled "The Crucible of Change. Part Three, from 1945 to 1969, is entitled "The Break", and Part Four, from 1969 to 2000, is entitled "The Realm of Possibility". This last section is followed by a conclusion entitled "Unmaking Geography", sources of information, a list of donors who made the writing of the book possible, and the index. IF YOU'RE STRONGHEARTED tackles the complex interplay of people, events, and powerful forces that have shaped Island life over the last hundred years. The result is a hard-to-put-down narrative that plays to both professional historians and a general readership. Edward MacDonald, a person most capable to write a history of Prince Edward Island, grew up in Newport, coastal King's County, P.E.I. during "the Break", the period of rapid modernization on Prince Edward Island after the Second World War. He began his formal education in a one-room school and completed it at Queen's University in Kingston, Ontario, where he earned a Ph.D. in history. In between, he experienced school consolidation, a "regional" high school, and the new "Provincial" university, UPEI. For thirteen years Dr. MacDonald was Curator of History and Collections at the Prince Edward Island Museum and Heritage Foundation, and for fifteen years he edited the Museum's semiannual popular history journal The Island Magazine. He is currently Assistant Professor of History at the University of Prince Edward Island. IMMACULATE CONCEPTION CHURCH, PALMER ROAD, 1892 - 1992, written by the Centennial Committee of the Palmer Road Parish for the 100th anniversary of the building of this most beautiful church, is unique in that it is bilingual - half French and half English. Containing 140 interesting and well-illustrated pages, the book features a history of the church and the area, a history of the priests who served the parish and its mission, and changes and new developments in later years. The book is available from people within the parish, and also at the Acadian Museum in Miscouche. No cost price available. Book: Island Doctor - John Mackieson and Medicine in Nineteenth P.E.I. Dr John Mackieson practiced medicine in Prince Edward Island from 1821 to 1885. Island Doctor offers an intimate look at the work of this "ordinary" physician and a fascinating glimpse of medicine in the nineteenth century. Based on a study of two casebooks, which include Dr Mackieson records for 257 patients with a variety of illnesses seen from 1826 to 1858 and 115 patients with mental illness seen from 1868 to 1874, two manuscripts, and a diary, David Shephard illustrates the wide variety of representative cases in Dr Mackieson's career and situates his work in the context of medical practice at the time. This book will interest a variety of readers, including general historians, medical historians, social historians, historians with an interest in the Atlantic provinces, physicians, and academic libraries. Publisher: Nimbus Publishing, P.O. Box 9301, Stn. A, Halifax, N.S., B5K 5N5. Available At: P.E.I. bookstores, may be ordered by others via ISBN number. Island Light, features the photography of John Sylvester, world renowned photographer and author who has made Greenvale, P.E.I. his chosen home. His photography appears in books, calendars, and magazines including Canadian Geographic, Country Gardens, Harrowsmith and Reader�s Digest. This is more than a book of photos - it is the Island lovingly caressed by the lens of John's camera. The Island has been photographed by some of the best photographers in the world. John has the unique gift of being able to see the beauty and colours of the Island from a perspective not duplicated by other photographers. He shows the Island that Islanders love - scenes from Tignish to Wood Island, and all points between. It shows the Island in all her seasons, and in all her majesty. For myself, as a person who loves photography and who has always aspired to photograph the Island and to do it justice, his photos have left me in awe. His lenses have captured not only the beauty and diversity of the Island, but also the heart and soul of the Island - the spirit of the place. If you love the Island, don't miss this marvelous collection of photographs. It is a book suitable for your coffee table - constantly by your side whenever you feel a need to enjoy its beauty, even from afar. Price: $ 25.00 Cdn plus postage. "It's the Askin in You" contains a complete Askin genealogy to the present time; 200 photos dating back as early as the late 1800s and a large number from the early 1900s including a picture of the first class from the Charlottetown Hospital School of Nursing; and the story of the Askins from the time they arrived in Prince Edward Island from Co. Monaghan and settled in the Kelly's Cross area up until the present. There is a chapter with a biography of all the Askin descendants who became sisters and priests, including Brother Rhodian Patrick McCarvill and Sisters Mary Irene McCarville, Marion Bernadette McCarvill, Mary Henry Mulligan, Mary Olga McKenna, Rita Marie Hagan, Anna Josephine Hagan, Muriel Gallant and Vivian McKenna. Prominent family names in the book which are contained in a 1000 person index are Askin, Owens, Campbell, Monaghan, Noonan, Gorman, Hagen, MacDonald, McKenna, and McCarvill. A copy of the book has been placed in the Provincial Archives for the use of researchers, and we are also selling them. They are available in Charlottetown from Treva McNally, arcona@eastlink.ca,(902) 892-0025, and in Halifax from Sr. Mary Olga McKenna, omckenna@schalifax.ca, (902) 457-3500. The cost is $25 (plus postage if they have to be mailed). Author: Gaby Burke-Vienneau B.E.Ed., B.Ed., M.Ed. Gabrielle is the author of a volume which is both historical and genealogical. It will provide readers, of all ages, with an Acadian insight. You will appreciate the Acadian historical background since many are of this origin. �Jean à Isaïe à Jacques Haché et Hélène Boudreau leur descendance et l�ascendance de Jean jusqu�en France� a most interesting Acadian book contains: 368 pages, 2,030 persons with 291 different family names. A beautiful overview of life in Acadia before, during, and after the Expulsion. The history of Michel Haché-Gallant, including his descendants. Many interesting stories. A chapter designed for English readers. The 47 pages of chapter six contain 350 photos (370 pictures in all). Fourteen generations, going back to France. For the English reader who requests it, Gaby translated the main words which make the understanding of the genealogy chapter very easy. This is the largest chapter, of which names and dates are the most important information. It is unique in many ways and it contains some data not accessible anywhere else. Some of the information will not be available before 100 years since the registers have now been closed. She has enough material to print eight more genealogy books. However, this is difficult due to the fact that it is very demanding, time consuming, and expensive! Price - Discount applies to orders made directly from the publisher. A lively look at estate management and resistance to land reform in nineteenth-century Prince Edward Island through the life stories of four elite British women landowners. The 1767 decision to divide Prince Edward Island among elite British grantees shaped Island history for more than a century. Lady Landlords of Prince Edward Island examines this history through the lives of four women who, due to the vagaries of family formation and inheritance, became Island landlords. As absentee owners of large estates, each of the four women faced challenges from those who wanted land redistributed in freehold lots to actual settlers. Their individual management strategies were determined in part by class standing and marital status, as well as individual eccentricities and prejudices. Drawing on family and official papers, Rusty Bittermann and Margaret McCallum provide engaging portraits of these women - orphaned heiress, prudent wife and property manager, countess estranged from her husband, independent spinster - as they negotiated relations of power and privilege in a domain dominated by men. Lady Landlords of Prince Edward Island is a compelling narrative that provides a unique perspective on landed society in England in the age of industrialization and reform, making an important contribution to trans-Atlantic, British social, legal, and women's histories. Rusty Bittermann is a professor of history, St Thomas University, and author of Rural Protest on Prince Edward Island: From British Colonization to the Escheat Movement. Margaret McCallum teaches in the Faculty of Law at the University of New Brunswick. A rewrite of the popular Social Studies text, "Abegweit - Land of the Red Soil" first distributed to students in P.E.I. Schools in 1985. Most of the first distribution to students was never returned, so popular was the History! It has remained a favorite since, and in 1990, a non school edition was produced with updates and additional information not published in the original school version of the text. An excellent general P.E.I. History, and a valuable resource for one beginning to wade in our province's colourful past! Available At: Sold Out, Used copies may be available in used bookstores. A pictorial history of P.E.I. 's age of sail, showing photographs and specifications, builders/owners of P.E.I. built vessels! The Belfast Historical Society is pleased to announce the launching of their latest publication Leap Over Time, History and Recollections of One-Room Schools in the Belfast area, 1803-1968. Leap Over Time contains information about twenty individual school districts: Belle River, Culloden, Eldon, Flat River, Iona East, Iona West, Lower Newtown, Melville, Mount Buchanan, Mount Vernon, Newtown Cross, North Pinette, Ocean View, Orwell Cove, Point Prim, South Pinette, Upper Belle Creek, Valley, Wood Islands East, and Wood Islands West. The book is over 200 pages in length and fully indexed. A descriptive account is given for each school that includes the history of the school, recollections of students and teachers, and photographs of schoolhouses and schoolchildren. Also presented are a variety of newspaper articles, maps, school registers, and school inspector reports. Photographs and memorabilia were loaned to the authors by former teachers and students from the various Belfast schools. The concept for the book originated from a photograph of schoolchildren taken in Wood Islands during the early 1900's. Only one individual in the picture could be identified. The anonymous faces of these children created the recognition that with each passing year more information about the one-room schools was being lost. The purpose behind Leap Over Time is to preserve the names of faces, the stories of people and the history of an era that has now passed * the period of the one-room school. Authors Eliza Gillis, Viola Gillis and Linda Jean Nicholson volunteered their time to research and write the book. This is their second collaboration. Two years ago, they edited the book The Past is Before Us for the Belfast Historical Society. The book launching will take place at the Belfast Consolidated School at 7:30 pm on Friday, December 10, 2004. Books may be purchased at the launching for the special price of $20 each. After the launching, the cost will be $25. This book will be available after the Dec. 10th launching at Cooper's Store in Belfast, Bookmark on University Ave. in Charlottetown (902-566-4888) and through the society: Belfast Historical Society, RR 1, Belfast, PE C0A 1A0. This publication was made possible with assistance from the Province of Prince Edward Island Cultural Development Program. All proceeds from the sale of the book are to benefit the Belfast Historical Society. Instant communication by e-mail and the Internet, text-messaging and the like are trademarks of the first decade of the twenty-first century - even here on "the gentle island" - Prince Edward Island. With the exception of the telegraph and the telephone, the main means of communication during most of the twentieth century between people who lived a distance from each other was by hand-written letters - in today's jargon "snail mail." Letters to Boston: Life in West Point, P.E.I. in The Early 1900's is a collection of letters which span from December 12, 1925 to September 1939 written to Sandy Stewart, son of David Stewart and Annie MacDonald Stewart of West Point. Sandy had decided to go to Boston to work around the last of 1925, so news from "home" was sent to him through letters, mostly from his mother, his sisters Mary and Gladys Stewart; but a few from others. These letters are full of information about people from West Point and surrounding areas and what was going on in West Point during these years. Apparently Sandy appreciated the letters and kept them all in a shoe box for 61 years. Following Sandy's death in 1987 his son Alexander "Al" or "Sandy" returned the letters to his Aunt Mary Stewart. The letters, presently stored at Stewart Memorial House in West Point, have been put into book form. Also included in the book are two letters from Boston; one written by Mary in 1964 and the other written by Sandy Sr. & his wife, Frances, in 1965.
Letters to Boston: Life in West Point, P.E.I. in The Early 1900s is an extremely interesting, well-illustrated book of approximately 300 pages written by Audrey MacDonald and Alma Rix, nieces of the above-mentioned Sandy Stewart. The book, created in West Point, P.E.I. was transcribed by Audrey MacDonald, typeset by Alma Rix, edited by Audrey, Alma, and Lynn Thompson, with Lynn doing graphic design. The most informative Prologue and Epilogue to the book were written by Ann Currie, daughter of Gladys Stewart Livingstone. The book was published by Kwik Kopy Printing, Charlottetown, P.E.I. and was sponsored in part by the West Prince Arts Council. The price of the book is $20.00. For further information please contact Audrey MacDonald at 902-859-2970 or Alma Rix at 902-859-3268.
Letters From the Manse, first published in 2003 and reprinted for the second time in 2004, is a book of letters written between 1949 and 1951 by the author. These letters chronicle sixteen months in the life of a United Church Minister's wife, including her difficulties in learning to cook, clean, entertain, and care for her husband and baby, in a house that seems constantly in need of repair. In the midst of it all, she discovers the goodness in Prince Edward Island community. On December 30, 1948, Joan Archibald married the Rev. Blair Colborne in Ottawa. Joan was 26 and Blair was 24. Originally from Nova Scotia, they were well educated city-dwellers with high ideals and expectations. In early January 1949 Joan joined her new husband on his first charge: Springfield West, on the western end of Prince Edward Island. Seven miles by unpaved road from the closest community, O'Leary. Two miles from the nearest power line. Little did they know what lay in store. Well-written, superbly detailed and delightfully witty...I read this collection of letters in one gulp. Because I can find value in any historical document I gave this manuscript to my 86-year- old mother who also read it at one sitting. We both found Joan's story fascinating. For my mother, the letters served as a reminder of a period when she, too, was a young mother in a rural area, dependent on the CBC and church activities for entertainment and community. Letters From the Manse is published by Island Studies Press, University of Prince Edward Island, edited by John Cousins and Laurie Brinklow, designed by UPEI Graphic, proofread by Emilie Adams and printed by Transcontinental Prince Edward Island, ISBN number 0-919013- 39-2. Cost of the book is $15.95 Canadian. Check their website at http://www.islandstudies.com, or write to the Institute of Island Studies, UPEI, Charlottetown, P.E.I., C1A 4P3. This collection of letters is a picture of life in a rural community of western P.E.I. at the middle of the twentieth century. Lorena Gillis Cardwell in 2010 published, in association with Crescent Isle Publishers of Summerside, a well-written and beautifully illustrated book of 230 pages entitled Lorena'sNotebook - A Family Memoir. This book, which is dedicated to her five children, three step- children, eleven grandchildren and three step-grandchildren, is a blending of family history, genealogy, memories, tributes, and personal sketches written in a very simple, clear style, permeated throughout with the strong Christian values of this retired schoolteacher, wife, mother and grandmother. "During the 1970's and 1980's, upon recalling certain events that occurred in my life or that of a family member, I would write the story. As you can imagine, one story led to another and another, and when I didn't have time to write the story I would just jot down the topic for future elaboration. I recall occasionally having twenty or twenty-five events to write about all at once. It seemed that during my working years topics far outnumbered completed stories. At first, it was not my intention to write a book - just to collect some stories that my children and grandchildren might enjoy in the years to come. As the stories accumulated, the need to organize them developed. If one of my offspring ever had a desire to look up some event in my childhood or theirs, they would need to know where and how to find it. This organization later led to the compiling of my book - Lorena's Notebook: A Family Memoir." While many family histories are just lists of family members, this family memoir is a collection of stories that show what the people involved are like, as well as their genealogical connections. Lorena Gillis Cardwell has found a very interesting way to tell the story of her life and that of her family members. What a legacy to leave to her family and to Prince Edward Island history! Lorena's Notebook - A Family Memoir is available from several Prince Edward Island book retail outlets, or directly from the author, Lorena Gillis Cardwell, 109 Stafford Estates, Summerside, P.E.I., Canada, C1N 6B7; telephone 902-436-5911. ISBN 978-0-9809110-7-7. Cover design by Crescent Isle Publishers, 25 Jason Drive, Summerside, P.E.I., Canada, C1N 6M2. Printed and bound in Canada by Taylor Printing Group Inc., 225A Alison Blvd., Fredericton, N.B., Canada, E3C 2S5. Cost per copy is $29.95 plus shipping and handling.